As a leading construction contractor, Ground Construction Limited (GCL) has built a reputation as a provider of total service quality while at the same time achieving top ten ranking for safety. 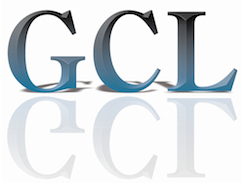 During a recent period of expansion, developing the skills and focus on quality of managers was seen as critical to maintaining GCL's outstanding reputation. "We were attracted to Middlesex's flexible work-based approach and their track record for working with a whole range of businesses. Through a process of discussion we agreed to run a pilot with two participants undertaking a bachelor's level qualification, and another two undertaking master's level qualifications." Using Middlesex's unique work-based learning framework, the University was able to develop project-based programmes that drew on the company's existing expertise. The process of reflective learning helped participants develop key leadership skills, including critical thinking and creative problem solving. In addition, participants worked collaboratively on projects, such as the development of a new company-wide health and safety protocol, a key element of the company's competitive strategy. "The learning experience was nothing like the traditional campus-based study that I remember from my undergraduate days. "One of the most valuable aspects of the programme was the reflective learning discussion sessions held at our premises. In between sessions, participants stay in contact with their tutors and other participants through the University's virtual learning environment. "The work-based learning approach has not only changed the way the participants approach their jobs, it is definitely helping to cascade a positive learning culture within GCL."